I’r Byw, the art exhibition by Rhodri Owen can be viewed at Oriel Môn until 6 January 2019. Having toured galleries across Wales this is the final chance to enjoy this exhibition. There’s much to see and ponder – and all a feast for the eyes! I’r Byw’s opening at Oriel Môn will be held on Saturday 8th December at 2pm – a special public viewing in the company of artists Rhodri Owen and Manon Awst. An opportunity to discuss and socialize in an informal atmosphere. More well-known as the designer-maker of the 2017 National Eisteddfod Chair, on the centenary of the iconic Black Chair, in this exhibition Rhodri combines his experience of creating craftsman furniture with his art background. He uses his furniture as art pieces and clean canvases, turning his attention to the experiences of today. In a series of creative “vandalism” sessions, Rhodri worked with 8 artists and 8 groups from a variety of backgrounds across Wales, with the groups putting their own unique stamp on the furniture canvases to express their experiences of life. From young people in Caernarfon being supported to overcome life’s challenges, eco-volunteers in Machynlleth, archaeological enthusiasts in Anglesey, and people from the mental health charity Hafal in Cardiff, to name but four groups – from Yr Ysgwrn to Tiger Bay, from Storiel to St Fagan’s and everywhere in-between, the groups had only one day to make their mark. Marked, coloured, gouged, burnt or disjointed, Rhodri’s “newborn” furniture pieces have been transformed in visually unexpected ways, expressing how life experiences today – joys, tribulations, heritage and environment mark us all. At Oriel Môn you’ll see Rhodri’s furniture in their new guise as brightly coloured, or sculptural or raw and satirical pieces, together with the hand-crafted furniture as they were originally and unchanged. I’r Byw is a production in partnership with 8 galleries and venues, including Oriel Môn – and with the funding support of the Arts Council of Wales, The National Lottery and Welsh Government. “Working together with all these groups, guest artists, galleries and other creative individuals has been a wonderful experience, and I’m also most grateful to the Arts Council of Wales and the other funders for their support at the beginning of my artistic career” says Rhodri. 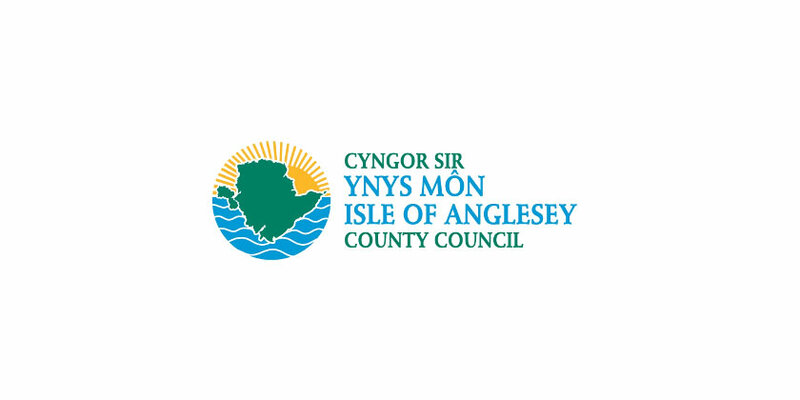 I’r Byw is supported by the Arts Council of Wales, The National Lottery and Welsh Government. I’r Byw means both: for the living; to the quick. Video: The show includes a documentary video of the work, video produced by Antena Cyf. Guest Artists: Manon Awst, Rebecca F. Hardy, Llŷr Alun Jones, Christine Mills, Bill Swann, Lisa-Marie Tann, Catrin Williams, Pip Woolf a Kirstin Claxton. Groups that took part: Criw Celf, Bangor; CAT/Gerddi Bro Ddyfi Gardens, Machynlleth; GISDA, Caernarfon; Yr Ysgwrn volunteers; Hafal, Cardiff; Tiger Bay Family; Y Lle Celf; Archaeological enthusiasts, Anglesey. I’r Byw Partners: National Eisteddfod of Wales; Galeri; MOMA Machynlleth; Oriel Môn; St Fagan’s; Storiel; Makers Guild in Wales/ Craft in the Bay; Yr Ysgwrn/Snowdonia National Park; Antena Cyf; The National Trust.